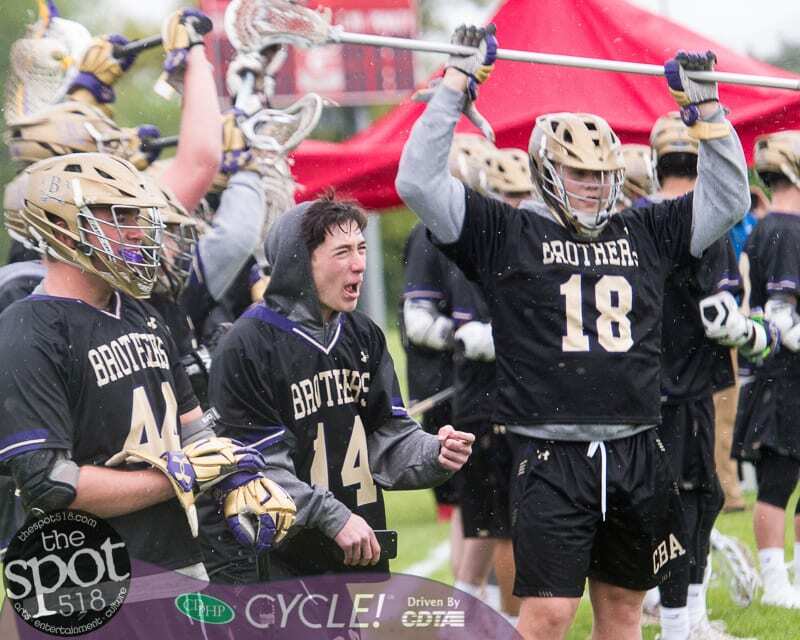 GUILDERLAND – The Brothers got the better of the Dutchmen in the first round of Class A sectional play on Saturday, May 19, by a score of 14-6. CBA, the No. 5 seed, was in command the entire game that was dampened by a steady rain. The Brothers led the No. 5 seed 4-2 after one, 7-4 at the half and then 10-6 after three before scoring four unanswered in the last to put the game away. Fred Smith had six goals and three assists for the Brothers while Nolan Avery had three goals and four assists. Luke McMahon and Anthony Pizzola had two goals each and Hunter Pemrick had a goal and an assist. Max Tedisco had 15 saves in goal for CBA. Jacob Renaud had three goals and an assist to lead Guilderland while Ryan Garrant Trevor Long and Steve VanAmerongen had a goal each. CBA will now play the No. 1 seed Niskayuna in Niskayuna on Tuesday at 4:15 p.m. Game time is slated for 4:15 p.m.
Click on a photo below to view a slide show of the gallery.